We’re offering garden centres free advice on the tools they need so that they can, without using third parties, frequently update online content and links. This will help keep their sites fresh and encourage search engines to frequently index them. During our Web Week from May 19 until 23 we will be happy to answer people’s queries about their own websites via social media, email and telephone. We want to encourage garden centres to think of a middle way by just displaying offers, new featured products and product lists, catalogues with or without prices. 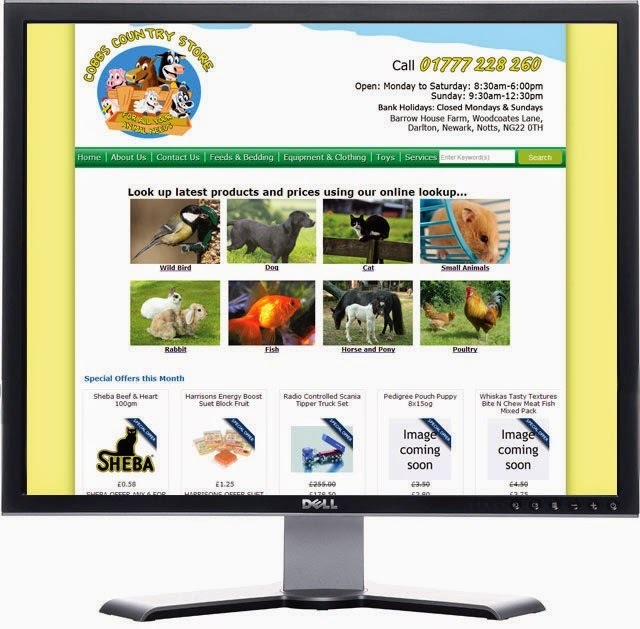 And these can be produced using data automatically from their EPoS databases with minimal effort in comparison to maintaining a full e-commerce site. This way they are competing and promoting themselves in an online arena without incurring the onerous costs associated with a full-blown e-commerce site. If you have any questions please tweet us @easitill, comment on our Facebook page at www.facebook.com/easitill, email sales@easitill.co.uk or call 01604 881881 and we’ll be happy to help.